Proponents of Web 2.0 and social networking often make claims for the benefits of this popular (supposedly new) phenomenon that include the likelihood of collaboration and group problem-solving as students from around the world team to take on important challenges. While collaboration might result if the activities are structured in ways that produce those results, decades of school and corporate efforts suggest that quality is unlikely to result from throwing folks together in groups while leaving issues of process to happenstance. This article outlines ways to increase the productivity of groups, whether they be face-to-face or remotely connected through Web 2.0. Web 2.0 is not so new! Social networking is not new, actually, and might be traced back two decades to the development of the Well. Nor is online collaboration new, as Judi Harris' Activity Structures were introduced in 1995 and all involved social networking and collaboration. Those who rush to embrace the latest version of social networking rarely mention these earlier efforts or the lessons we might learn from their struggles, victories and disappointments. While we have some software advancements, the value of involving students in social networking remains directly tied to the scaffolding, skill building and mentoring provided by teachers. There is nothing automatically worthwhile about exchanging messages online. This is just as true in 2008 as it was in 1995. Gossip and blather are equally senseless online or offline. Gatherings of groups do not necessarily collaborate. 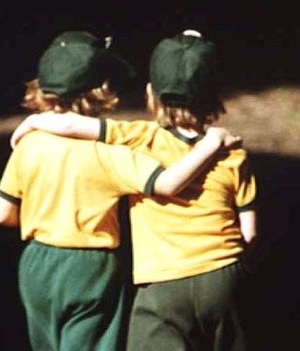 For decades prior to the Internet, schools devoted a great deal of energy to strategies such as Cooperative Learning and group problem-solving, mindful of traps groups may fall into such as "group think" - a tendency of majorities to squash unusual or creative thought. This trap is captured well by the saying that "a camel is a horse created by a committee." It takes a great deal of scaffolding for teams to learn the skills of productive problem-solving, so those who hope to mine the potential of social networking and Web 2.0 should make sure that students are well versed in these skills. The new technologies may be an improvement on the MUDs (Multi-User Dungeon, Domain or Dimension) of the past, but they mainly put folks in touch. They do not make them collaborative, productive or brilliant thinkers. Productive collaboration requires more than the exchange of ideas and suggestions. For a team to reach the synergy level in which 3+3=13 - an inventive surge of productivity and imagination that leads to high quality and imaginative production - the players must all have some grounding in the group strategies that nurture that kind of exchange and invention. 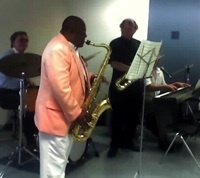 When a jazz trio or quartet is playing with great synergy, we say they are "really cooking." They may be improvising in magical ways, but it turns out that such improvisation and magic must be grounded upon a firm foundation of musical basics. Ironically, the thinker must usually acquire a solid foundation in the thinking of the sages, the theories of the experts and the beliefs of the academy in order to build something new and worthwhile. Invention rarely thrives on ignorance. Breakaway thinking needs a wall of ideas to push off against. In the world of jazz, young performers must master a repertoire of chord progressions and harmonies so that they can count on them as structures around which and through which they might weave more magical variations. Sadly, the challenge of equipping students or any group with the process skills required to do good work is often overlooked or paid lip service. We have seen a succession of online technologies that promised great inventiveness and teaming, going back to the bulletin boards and online cultures of the 1990s, but some of these delivered results that hardly matched the promises. It is illuminating to read THE FUTURE DOES NOT COMPUTE: Transcending the Machines in Our Midst by Stephen L. Talbott (1995) and ask if Deja Vu is happening all over again? 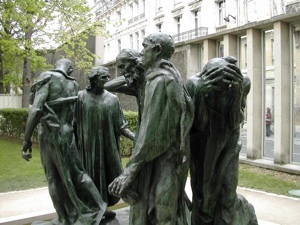 Rodin's sculpture of the Burghers of Calais shows a group of hostages turning every which way. Without proper grounding, online groups may have difficulty working harmoniously or productively. Talbott, writing in 1995 . . . Anyone who has been in a position to observe the brief, intense history of the Internet will certainly have noticed the wild swings of online sentiment, from utopian fervor to crashing disillusionment and back again. When a few agitated email messages leaked out of Russia during an abortive coup, the Internet became, by most accounts, an irresistible weapon to save the world for democracy. (Presumably, the Chechens whose deaths graced this morning's newspaper were too late getting their Internet accounts). On the other hand, let the United States government pass a law to permit wiretapping in everyone's beloved cyberspace, and immediate visions of a worse-than-Big-Brother begin dancing through our heads. This ping-ponging between extremes does not suggest that much work is being done at the realistic level where ideals can be furthered. Every ideal demands a persistent, long-term work upon my own nature, as I stand embedded in society. The difficulties of this social immersion-- for example, the personal frictions, antagonisms, and frustrations -- are the occasion for most of the work. Anyone who has understood and accepted this work cannot be moved very much by the technological and political shifts that alternately bring ecstasies of hope and paroxysms of fear. Over the years, smart schools have turned to the work of thinkers such as Peter Senge,1 Edward de Bono2 and others to acquire the methods to convert gatherings and meetings into something worthwhile and productive. Most teachers have sat through enough unproductive meetings to know that getting folks together does not automatically result in productivity. 1. Senge, P. Schools That Learn: A Fifth Discipline Fieldbook for Educators, Parents, and Everyone Who Cares About Education. New York: Doubleday, 2000. In 1992, FNO published an article summarizing Senge's ideas from his book, The Fifth Discipline. These ideas are pertinent today for anyone hoping to move past mere online gatherings to productive synergy and group invention. "The Fine Art of Paradigm Busting and Flexadigm Breeding"
This summer, FNO's companion publication, The Question Mark, devotes an issue to synthesis and the skills that enable individuals and teams to invent new ideas, solutions or ways of operating. "Bettering: A Synthesis Primer" outlines a professional development program for teachers to acquire these skills usually neglected during teacher preparation so they might turn about and equip students with those skills. De Bono's Thinking Hats outlines a process that students may employ face-to-face or online to enhance the quality of group production, as each of the six colored hats stands for a kind of thinking that a group might do while trying to come up with good new ideas. Order Thinking Hats from Amazon This model is outlined in some detail in this summer's article in The Question Mark, "Bettering: A Synthesis Primer." Informal polls of teacher audiences during the past year revealed the problem that few educators have been given much professional development or training in synthesis or collaborative work. As a result, FNO Press will be offering a series of seminars to address this need - "Involving Students in the Making of Good New Ideas." Click here for the schedule. Many groups perform better, face-to-face or online, when there is a skilled moderator or facilitator to stir the thinking, elevate the quality of discourse and remind the group of effective process. Without a trained facilitator, groups can easily lapse into bull sessions or rambling exchanges that are additive rather than constructive. Members show up at different times, add their "2 cents worth" and then sign off. We end up with a collection that may amount to very little of value. As Andrew Keen warns in The Cult of the Amateur: How today's Internet is killing our culture, Web 2.0 carries with it some presumptions that include a devaluing of expertise along with an inflated sense of the wisdom of crowds and amateurs. A teacher in Grand Prairie, Texas works alongside her students making sure they are both strategic and productive. cheaper solution ... we need to reduce our nuclear arsenal. we could cheaply and easily drop several dozen on Pakistan, to include the tribal areas. this is acceptable under international agreements (including the Geneva conventions) because (1) Pakistan is a proven nuclear power and (2) Pakistan is a continuing supporter of the Taliban who conducted a sneak attack the USA. Legal ... and cheap !!! 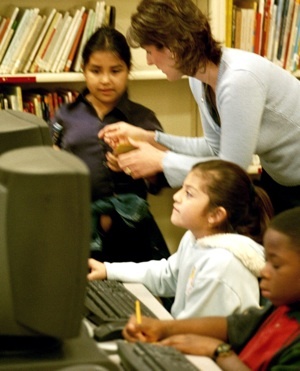 Engaging students in online chitchat does little by itself to advance their learning, just as such exchanges of opinions face-to-face in a social studies class would be of little value if the teacher did not require that students substantiate and test those opinions against standards of evidence, logic and decency. Being connected locally or internationally does not lead automatically to insight. Taking an uncritical view of wikis is a related issue for schools to consider. Heralded as one of the wonders of the Web 2.0 world, wikis invite all of us to add our "2 cents worth" to travel sites, encyclopedias and pages devoted to special topics such as emerging technologies. Some of these wikis prove highly valuable, as customers and clients of hotels and restaurants, for example, share their miserable experiences with touted destinations and protect us from some of the marketing hype so long employed by tourist attractions and their PR firms. Other wikis prove to be just a flash in the pan, as initial enthusiasm wanes and a half finished collection of pages launched by a graduate class sits collecting digital dust, never updated, never maintained and rarely visited. Wikipedia, an encyclopedia generated for the most part by anonymous contributors like you, me and the seventh grade daughter of our next door neighbor, can prove illuminating on certain topics. I first learned of a Pentagon coined term "perception management" from Wikipedia and found to my relief that the words quoted at Wikipedia did, in fact, appear on a DOD document. Never having been a fan of so-called professionally developed encyclopedias, I am open to the possibility that a wiki may provide some new insights not available from those antique and well combed data sources, but there are several serious problems with wikis. During the past year, I have modified the Wikipedia definition for educational technology several times because on first reading, it seemed stuffy and difficult to understand, apparently written by someone in higher ed who was quite fond of terms like "educational technologist" and highly technical terms from psychology and learning fields that might make sense only to those with advanced degrees. It was verbose, abstruse and bewildering. It was not illuminating. With the hope of making this definition a bit more helpful to the average person or layperson, I added some sentences, deleted some phrases and changed others (Example). Many of those changes remain today, but the resulting article is a mishmash of clashing writing styles and theories. It suffers from a lack of clarity and coherence. Take a look for yourself at the current article for educational technology and see what you think. I also found problems of interpretation in an article about Matthew Flinders, a British ship captain who was the first known European to circumnavigate Australia. Important details were left out of his life story, like his attempt to bring his wife to Australia in conflict with Admiralty regulations and his conflict with the French Governor of Mauritius that led to his long term captivity on the island. History is often unreliable when written by so-called professional historians, but wikhistories can compound these problems. During the past year, I also made some additions to the entry on No Child Left Behind, an educational law that has been extremely damaging to schools and children. Alarmed by what I had witnessed, I created a Web site criticizing the law at http://nochildleft.com. The Wikipedia article tries to summarize arguments for and against the law but ends up with a mishmash of sections. The fate of NCLB's re-authorization slated for 2007 but delayed into 2008 by growing opposition in Congress is poorly covered. There is little mention of the argument now taking place over the law's future as covered in "Democrats Offer Plans to Revamp Schools Law" in the New York Times. This concern about bias and balance was further strengthened when I read articles documenting how powerful groups like Microsoft had been paying folks to change entries. "Lifting Corporate Fingerprints From the Editing of Wikipedia" in the New York Times. "This is the essence of wikilobbying, when money determines Wikipedia entries, reality has become a commodity." Steven Colbert speaking on Comedy Central. Finally, having tracked some issues in Wikipedia, I see that articles and entries sometimes suffer from neglect and inattention. There may be no commitment to updating and revision. In the case of the entry for No Child Left Behind, for example, as mentioned earlier, reauthorization of the law has stalled in Congress for more than a year, but there is no comment about that stall nor comments about which presidential candidates have either supported or opposed the law. As important news stories surface about the law or the administration's actions, failings or inaction, few of these are appearing on the list at Wikipedia because no one is taking responsibility for updating. When the Department of Education issued a report judging the Reading First Program "Ineffective," there was no mention of this report until I added it. In too many cases, this type of updating is left to happenstance. There seems to be no one intrusted with currency. As this article was being written in July of 2008, the list of references for No Child Left Behind had 58 entries, only one of which was for the year 2008. Wikipedianism on this page could include quickly out-dated links and text, multiple links to pages with similar content, poorly-written passages, plagiarized and/or false content, and other Wikipedia-centric formatting, titles, and system code alien to much of the authentic WikiSphere. Back in 1997 Sherry Turkle explored a wide range of issues raised by the online experiences of teenagers in Life on the Screen: Identity in the Age of the Internet. The current generation of social networking software may be more attractive and more popular than those she studied, but some of the same problems and issues persist. On http://biznik.com, a social networking site for independent business types to which I belong, one member posted an article, "Why Are Social Networks Popular?" in which he asks, "Why is Facebook so popular? Can someone who has 2000+ "friends" on a social network really be capable of sustaining meaningful relationships with such a high volume of people?" Those of us who have experimented with social networking sites have sometimes found our definitions of "friend" stretched and even strained. Friend requests from total strangers are an intriguing aspect of the experience. Sometimes these are real people. Sometimes they are frauds or robots. Sometimes they are good company. Sometimes bad. I noted with interest that most people of my generation recommended by FaceBook because of having attended the same schools as I had set their profiles to "private" so that pictures and profiles could not be accessed without the person accepting you as a "friend." It is a trend I have noticed over the past two years at both MySpace and FaceBook even with much younger people as circumspection has for many people replaced the early rush of excitement when strangers came calling by the dozens. Early on, many young enthusiasts shared remarkable photographs of drunken parties and personal diaries that confessed all kinds of noteworthy exploits many would prefer to keep private. It was titillating - like digital skinny dipping - but then some prospective employers ruined the fun by browsing these profiles as part of the selection process as reported by the New York Times in this 2006 article, "For Some, Online Persona Undermines a Résumé." Early enthusiasm for wide open spaces shifts to circumspection and a new found appreciation of privacy. Some call for a transformation of schools and classrooms to take advantage of these new digital opportunities, but these pleas eerily echo the educational rhetoric of the 1960s, the 1970s, the 1980s and the 1990s. Deja vu again. New century but similar agendas repackaged with new electronic threads. Each wave of new tools brings a fresh wave of calls for transformation. Schools sometimes appear to suffer from short term memory loss. 21st Century skills seem much like the lists touted by reformers in the 19980s. Some of these folks are out of touch with history. They seem unaware of previous attempts to transform classrooms. Being ahistorical is dangerous. Santayana warned, "Those who cannot learn from history are doomed to repeat it." Note 1999 FNO Article "Beware the Shallow Waters! The Dangers of Ignoring History and the Research on Change in Schools." While many schools could use a good strong dose of progressive change so that students would learn to invent, collaborate and think for themselves, this challenge has been around for decades and some of us have been working on it for 40 or more years. The effort extends well back into the first half of the previous century when John Dewey led a movement to emphasize acting, thinking and problem-solving ("My pedagogic creed"). But the effort has always been stymied, not by a lack of technologies, but by cultural and social forces as parents and communities have exerted pressure for schooling that conforms with their notions of sound learning. These forces often exert their influence through testing programs that reward a narrow definition of teaching and learning. Previous efforts have also been hampered by a lack of attention to the nuts and bolts of collaborative production. Freestyle learning may be attractive on the surface but is rarely sustainable. Before hopping on the social networking bandwagon and urging all students to blog, wiki and network, schools might be wise to focus rigorous attention on questioning, inventing, collaborating and powerful writing in face-to-face situations with close attention to scaffolding and skill building. Adding distance and digital to the mix may be seductive but diversionary. Some enthusiasts argue that schools are so far behind the social realities of today's youth that the education provided them is a disservice. They would have us transform the school day so that students could spend more time on the Net and less time groaning their way through tiresome and antiquated lessons and lectures. Schools and teachers are usually painted in hypercritical terms with sweeping generalizations that lump them all together in a mass of ineptitude and boredom, even though most schools and school days are a mix, with some teachers setting high standards for student engagement and others acting in more traditional ways. The Internet, in contrast is often heralded as blemish free. We have data from Henry J. Becker and his team reporting how teachers across the United States use the Internet and other technology learning opportunities. Becker's studies found that uses of the Internet and new technologies vary dramatically according to a teacher's philosophy and practice. Becker contrasted the reported attitudes and practices of "traditional" teachers with others he calls "contructivist" teachers. Teachers who believe strongly that good teaching involves facilitating independent student work rather than emphasizing direct instruction and skills practice, and who put those beliefs into practice, along with an emphasis on complex thinking, were much more likely to have their students use the Internet than were those who put relatively limited value on such approaches to teaching. In addition, these teachers, whom we label "constructivist," were twice as likely to believe the Internet in the classroom to be essential to their teaching as those who were least constructivist. Similarly, for teacher Internet use, the most constructivist teachers (19% of all teachers) were two-and-one-half times as likely as the most traditional teachers (the 22% closest to the "traditional" end of the scale) to use the Internet for their own professional use. Talk of transformation rarely leads to transformation, in part because it ignores both the history of changing schools and the research into what works. Furthermore, talk of transformation is often polarizing, setting the early adopters against the "recalcitrants." Talk of transformation may stir resentment and increase resistance. Many times it is hard to distinguish between the marketing claims of vendors who wish to transform classrooms by filling them with new gadgets and the calls for a new kind of learning that is meant to inspire and ennoble. Smart schools take talk of transformation with a many grains of salt, electing gradual evolution rooted in sound learning principles over appeals to what is fashionable in the mainstream culture. Schools are not arcades and should not aspire to become entertainment centers. We already have "Reality TV" and need not add "Reality School" to the list of cultural developments. Authentic learning? That would be a welcome shift. Engaged learning? That would also be welcome. How about curriculum standards like the New Zealand Curriculum? They make great sense when accompanied by an assessment model that rewards teaching to such goals. Proclaiming goals and calling for transformation is the easy part. Translating the rhetoric into substantial learning gains is quite another matter. The main point of this article is the importance of scaffolding ventures with due attention to the skills required to produce significant results.